Brisbane City at Dawn from the base of the Kangaroo Point cliffs. 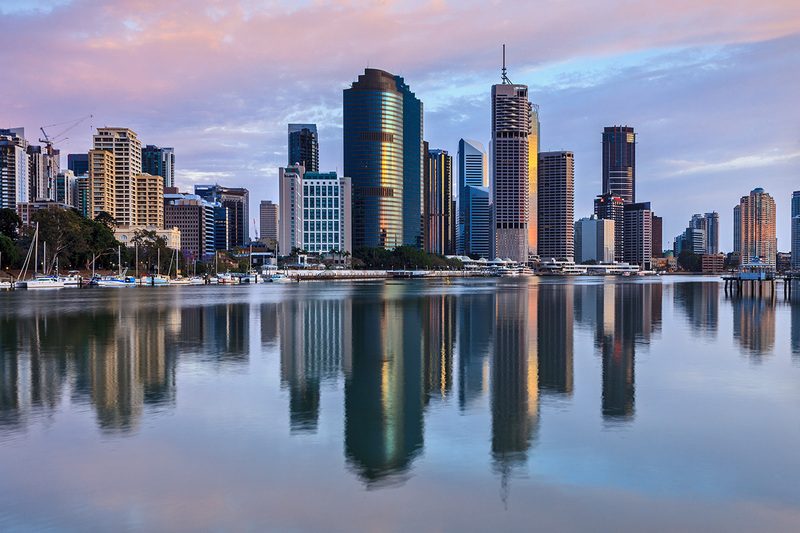 The Brisbane River is the longest river in south east Queensland, Australia, and flows through the city of Brisbane, before emptying into Moreton Bay. John Oxley was the first European to explore the river who named it after the Governor of New South Wales, Thomas Brisbane in 1823. The penal colony of Moreton Bay later adopted the same name.